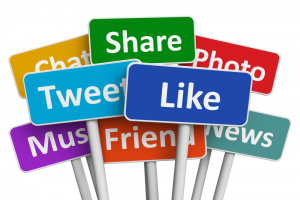 Millions of people use social networks like Facebook and Twitter every day to share photos, comments, and ideas with their friends and followers. These popular platforms have become magnets for cybercrooks and are used to spread different types of scams. Hackers take advantage of the easy accessibility of data we put online to manipulate or steal them. The security of AVAST users is a total priority for us. Therefore we monitor and warn you about new threats we discover on social media. We have noticed that while trying to be creative, scammers also run out of ideas and certain type of threats repeat periodically. Hence, we have gathered the top 4 sneakiest scams and prepared a summary of the most typical malicious behavior recently distributed via social networks. Most of us are softies and scammers know it. Who wouldn't “like” a photo of a child in need if it could help them? Especially if it says: Each time you like the photo, you donate one cent to…, or If I collect 1,000,000 likes my parents will... Like my photo, please! Scammers count on our sympathetic hearts to respond to these calls for help, and we do by clicking like and share. You might ask, what is wrong with liking a photo and what is the mechanism of a photo scam? There are two aspects of so-called “Facebook farming” that we should be aware of: Copyrights and money making. Many of the pictures used in these scams are stolen and misused. The true owners are not even aware that a scam using their photo is being conducted. Photos that collect a great amount of likes and shares don’t give money to the people in need, rather they are sold to whomever is interested in that particular (proven as engaging) content, and the money ends up in the scammers pocket. And, if you liked the page, you allow the new owners to post anything in your feed, including advertisements. AVAST tip: Be aware what you like, so you don’t help scammers to get rich and misuse others. The second sneaky group of Facebook scams on our list are fake contests /offers or so-called holiday scams. I call these “Claiming scams” because no matter which type of scam, the scam victims are asked to submit money in order to claim their winnings or help their loves one. Usually targeted to Senior citizens, fake pages or profiles, organize contests with large prizes. Participants are approached with notification that they won a large financial reward. However in order to collect it, an initial “contribution” is required. A similar mechanism is used in holiday scams. How does it work? Your family goes on vacation and they are so excited that they share details about their trip with friends, family (and very often publicly) on Facebook. A week later you receive a bogus call saying your son was injured, jailed, or in some sort of jam during the trip. The scammers reassure you that they can help and ask for a money transfer to assist your family member. AVAST tip: Use common sense and verify information before submitting any money. Contact your family first, or verify the identity of the contest provider, before taking any actions. If this has already happened to you, don’t be ashamed. Just gather the information you have and contact the police to report your case and claim your money back. Recently we observed an increasing amount of fake applications on Facebook. These are quite sneaky because they look so authentic and seem so serious. 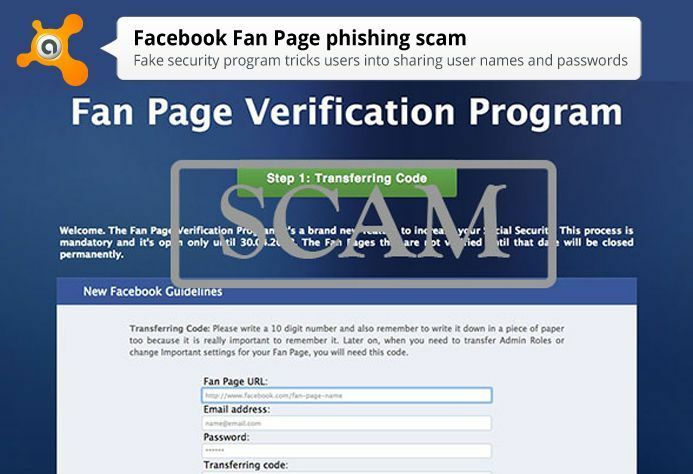 Whether these were fake contest applications or applications claiming to secure Facebook pages, scammers have one goal: Get access to your account or a Facebook page you are managing and take control of it. AVAST tip: Never submit your credentials to a Facebook application and verify who the provider of application is when possible. Usually distributed as attractive looking URLs or videos with shocking content, these seem the most dangerous. They can certainly compromise your Facebook account, but also get deeper into your device’s operating system. Once installed, malicious files can steal your bank credentials and confidential data, take over access to your account, and empty accounts without your knowledge. 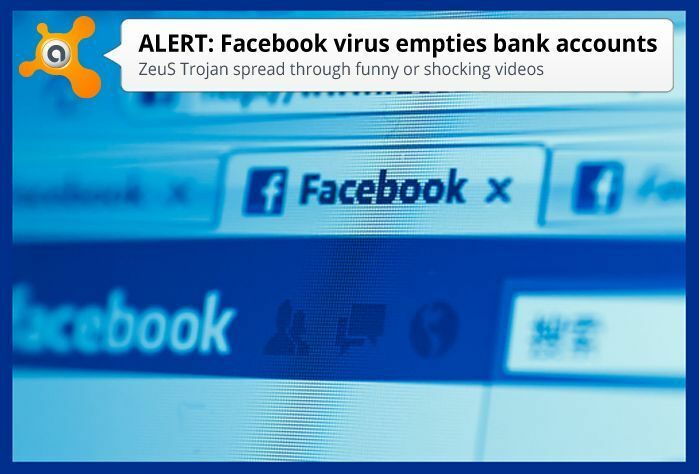 Example: Trojan named ZeuS, distributed among Facebook users. AVAST tip: Beware of what you are clicking online and what the source of this information is. Most importantly, make sure your avast! Antivirus is always up-to-date. Thank you for using avast! Antivirus and recommending us to your friends and family. For all the latest news, fun, and contest information, please follow us on Facebook, Twitter, Google+, and now, Instagram.